Digital Transformation Scores (DTS) is the brainchild of founder, Marcelo Silva, who has spent the past 20 years working in a range of marketing and business roles, with an emphasis on digital. His career includes helping to launch digital-first upstarts, ING Direct and PayPal, in Australia, as well as working on digital execution for media organisations such as Bauer and Turner Broadcasting. Silva has spent the past 18 months building up the DTS business, bringing on a team of researchers and statisticians to help him work out what it is that digitally mature organisations are doing differently to the rest of the pack, and how to provide a benchmarking tool that helps others gauge digital success. DTS is tapping into up to 40 data points to gauge digital maturity, grouped into four main dimensions: People and culture including leadership, diversity and training programs; digital strategy roadmaps; enablers, such as technology, platforms and systems; and measurement and performance. Silva told CMO most of the numbers are based on publicly available data, such as financial reports, gender diversity scores, reported customer metrics such as Net Promoter Score and customer satisfaction, and A/B testing diagnostics. The measurement platform was developed in consultation with a 38-digital expert panel representing a range of organisations and fields and including former chief digital officer for the Federal Government, Paul Shetler and ANZ’s group head of digital, Maile Carnegie. According to Silva, what’s clear is people and culture is the most important element to embracing digital, coupled with leadership. 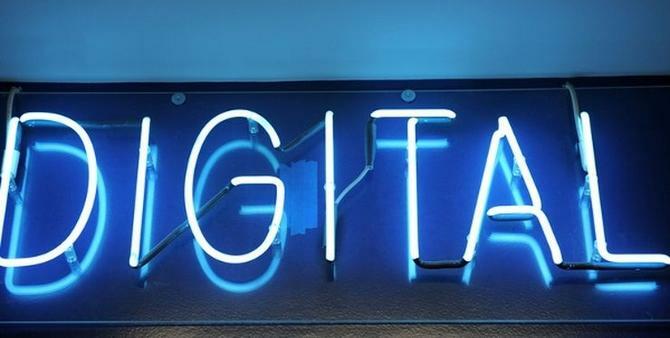 Both ranked the highest contributors in organisations that have reached digital maturity. Not far behind is a comprehensive digital strategy, followed by platforms and measurement. “When it comes to the level of transformation, owners driving it for whole had greater emphasis on people and culture, whereas people that have just started on the digital journey have a greater emphasis on digital strategy,” he said. Having a customer-first strategy is pivotal regardless of who you are, but Silva agreed the industry you’re in has a clear bearing too, something that’s taken into account as part of the benchmarketing exercise. He noted banks, for example, are well on the journey to digital maturity, whereas the energy sector is just at the starting line. “We feed our insights into a scoring framework that takes into consideration your maturity profile. ANZ won’t rank as high as Facebook, but can be compared with NAB or Westpac,” Silva said. Three filters are applied by DTS to organisations: Little, moderate and largely transformed. Clients get a graphical representation of their digital transformation score, broken into 35 sub-categories, and are benchmarked against their two nearest competitors. Silva’s go-to-market strategy for the new offering is both direct board and c-suite including CMOs, as well as media and creative agencies. Thanks to digital disruption, many agencies are seeing their roles shaken up and are looking for ways to minimise disintermediation by having a seat at the digital transformation table, he said.